Onate's seniors pose for 2017 team photo. To say that the season goes by fast and the first game just sneaks up on you has to be the biggest understatement in the history of coaching. 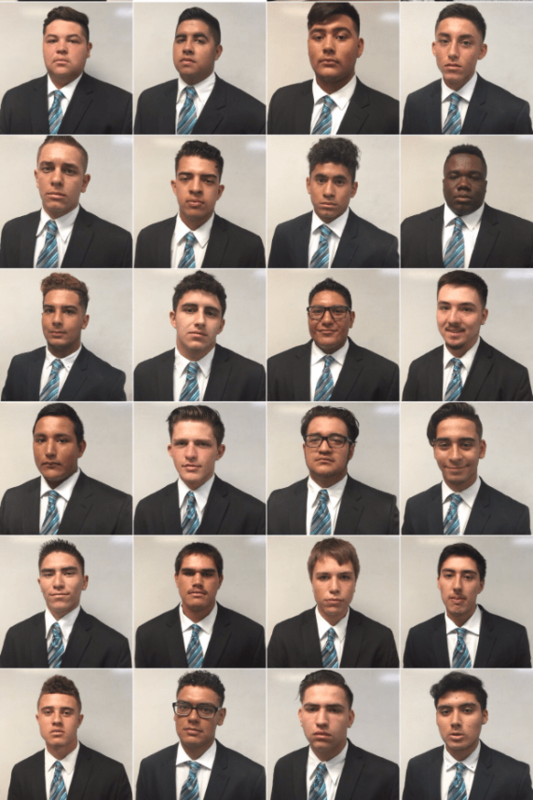 It seemed like just yesterday that I accepted this job and now we have finished our first scrimmage and are getting ready to prepare for Rio Rancho Cleveland this Friday, the 25th at their place. As a first year head coach, I sometimes feel like a sophomore quarterback starting his first varsity game. The game is usually so fast for him. It seems like I have not had a moment to breathe since I landed here in Las Cruces. I’m sure things will slow down at some point…hopefully. The scrimmage went about as well as I had expected. Artesia is a 5A school in New Mexico that was the state runner-up last year. They are very good and very well coached. That was a big reason I was excited about playing them. By the middle of the game, I looked up into the crowd and estimated about 3,000-4,000 people…for a scrimmage! Great vibe, great atmosphere…not so great football, at least on our part. As one would expect with a young team starting a total of six seniors and implementing a new offense and defense, we were very sloppy throughout and turned it over three times. The kids pressed a bit too much and that caused us to implode in many instances. However, one of the biggest positives we got out of it was that we played hard and played through adversity all evening. Our guys showed tons of fight, potential, and character throughout the hour and forty five minute affair. If you add up positive offensive plays, we totaled over 400 yards of offense and had some nice moments on defense even though we were facing one of the top QB’s in New Mexico, Taylor Null. The kid can spin it. Some of our players like QB-Aaron Sanchez, WR-Monroe Young, and LB-Arath Ronquillo all showed flashes of brilliance at times and showed what kind of team we are capable of becoming. All in all, it made us aware of what we need to correct for next week as we prepare to take another three hour bus ride to Rio Rancho Cleveland High School to face the Storm, who are currently ranked #4 in New Mexico by MaxPreps. By the way, they have us at #5. They are big, fast, aggressive, and very good. Should be a fun one. I would not want it any other way. 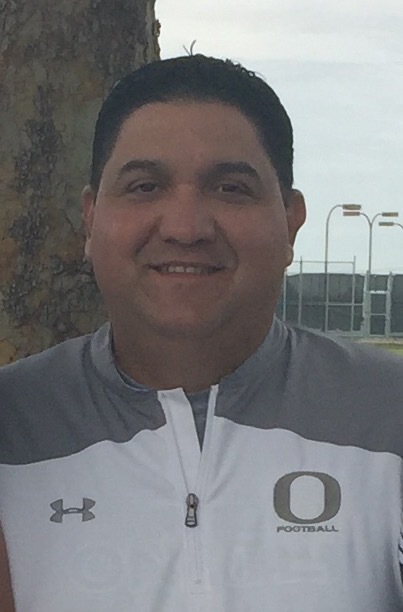 Most coaches cringe at the idea of picture day. Sure it can be a pain, it can feel like a waste of time, and it takes up practice or film time, but I do not mind it. To me, it is a chance for all of us to unwind, relax, and have some fun for a little bit. We had ours Saturday. 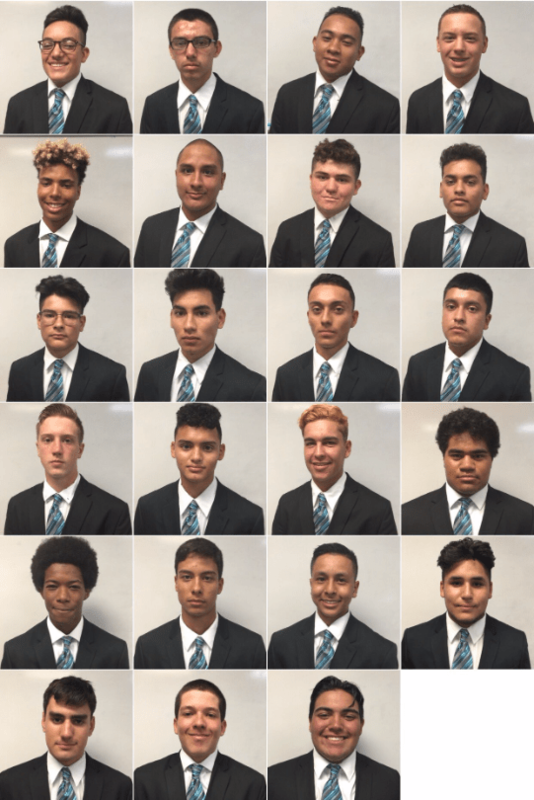 However, a week ago, we dressed up our varsity boys in suits and ties for the individual shots. Everyone thought I was crazy, but it was something I have always wanted to do. Sometimes we as coaches forget that it is not always a business and it is not always work; coaching and playing football should be a labor of love. You need to pull back and relax as the boys enjoy themselves. There is nothing better than seeing your Offensive Line Coach taking a group picture with his guys or the seniors getting together to take one last shot together. Those are truly the moments I love the most. My favorite moment of the day? Well there were two of them. The first was taking a picture with my two sons, Justin and Brandon. It will be the last time I ever do that with both of them since Justin is a senior. My second favorite moment was hanging out in line with my players as they were awaiting individual shots; and we passed the time by making fun of each other’s hair. Great stuff! Until Next Time: BUY IN-SELL OUT and SWING YOUR SWORD!